Available now fully furnished or unfurnished for a year long lease or more! 2BR/2BTH waterfront corner unit! Enjoy perfect sunsets, spectacular water views of John Ringling bridge and Sarasota Bay right from your balcony or living room ! This unit has been nicely updated, freshly painted and tastefully decorated with coastal details throughout! Tiled floors for easy up keep. Small furry friends welcomed. 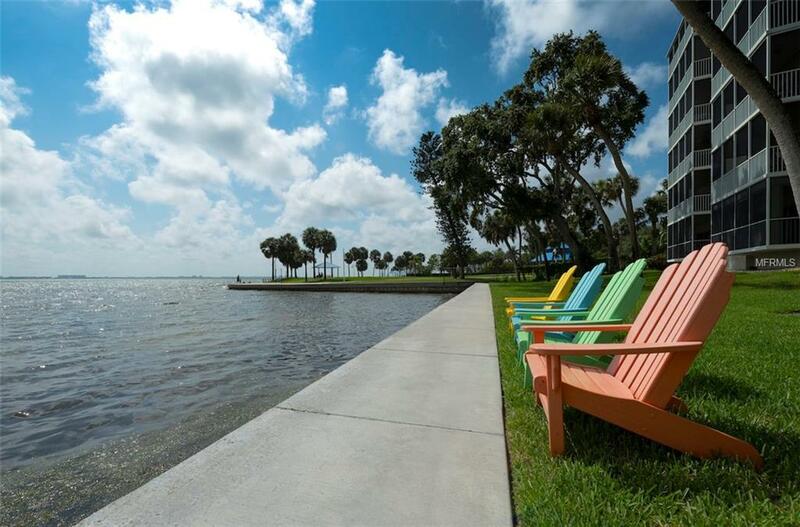 Centrally located and near everything Sarasota has to offer! Must be seen to appreciate its beauty. Make an appointment and come join this wonderful Bay's Bluff community! Pet Restrictions Small Dog 30Lb Or Less.